Nathan P. Gilmour , 30 June 2013. 232 pp. West Bow Press. $19.99. Some books convince with well-shaped arguments, and others move the reader with compelling stories. And some other books do not have the force of a Great Book in the old sense but nonetheless serve as interesting windows into the thought processes of their authors, the causes that inspire them and the rhetorical moves that they make to accomplish the aims that they see as worth pursuing. Trinitarian Letters is one of the latter sort, not the sort of book whose ideas are going to demand further meditation and response but certainly an interesting glimpse into the ministerial life of Paul Kurts. The book does not have a singular structure; instead, this collection of notes from sermons and papers and other such events wanders from topic to topic, showing the places where Kurts’s public message repeated, to be sure, but also the sorts of idiosyncratic, ad-hoc sorts of questions that must have confronted him as a minister. The notes are not uniformly edited; some are quite clean and likely came from newsletters and other such print publications, but others show the signs of public-speaking notes rather than published texts. The editing of the roughly 150 sections is uneven in terms of spelling and punctuation, and the text’s key words gain emphasis from all-capital formatting (in just about every paragraph), from boldface type (on some pages but not others), from long strings of exclamation points and question marks (sometimes terminating in the numeral 1), and on one bizarre page with emoticons. There are children’s sermons in there and responses to congregants’ questions. There are essays on birds’ migrations and one addressing the allegation that Jeremiah 10 is a polemic against Christmas trees. 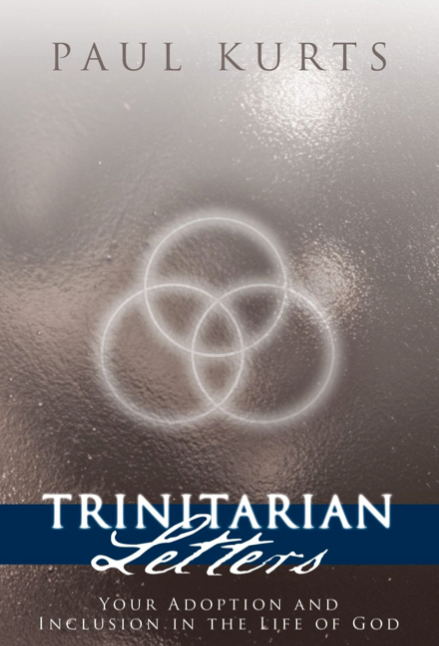 The common thread running through a majority of the sections, though, is Trinitarian Inclusivism. The message to which Kurts returns again and again is that the Father, the Son, and the Spirit, from all Eternity, have ALWAYS planned to bring ALL OF HUMANITY into a circle of LOVE to enjoy divine FELLOWSHIP FOREVER!!! (Okay, I’ll stop, but I wanted to give you a taste of the emphatic text.) What’s fun about Kurts, as opposed to some proponents of “pluralism” of liberal flavors, is that Kurts’s conclusions emerge from the sort of Bible-verse-citing, preacherly rhetoric that one usually associates with fire-and-brimstone preaching, but in Kurts’s big-tent sermons, the sinners are those who refuse to acknowledge the universal love of God, which will result in the inclusion of all humanity, even if some choose to suffer for ages because they will not accept it. This style of Biblical universalism is the sort of thing that we Christian college teachers would love to spring on our most ardent Bible-verse-quoters of a more traditional stripe but never do, and although the random all-caps words do get tiring, the approach nonetheless is fun. Of course I’m going to have issues with the book (it wouldn’t be one of my reviews if I didn’t), and for some reason, yet another book that makes Plato the standard whipping boy has landed on my desk. To his credit, Kurts does at least name a Platonic dialogue (the Phaedo, to be specific, though he seems to have gotten that name from the Catholic Encyclopedia online rather than reading a translation of the dialogue himself), but as with most popular-theology books that use Plato as a foil, this one left me scratching my head. If I were to predict why a Bible-quoting Universalist would choose Plato as a foil, I would have guessed maybe the reincarnation bits of the Republic or the Phaedrus, or maybe the preexisting-soul bits of the Meno. But over and over in this book, Kurts cites Plato as the inventor of the fiery Hell, and he makes a nine-hundred-year leap to Augustine to explain why Christians in the medieval and modern eras tended to think of the afterlife as involving fire. He asserts, again to my confusion, that Christians for the first 300 years of Christianity were Universalists (151–I was thinking of Tertullian’s “On the Spectacles” and its infamous last chapter the whole time that section was rolling) and that the emperor Constantine and his theology-writing agent Augustine re-invigorated the old Platonic notion of the fiery eternal Hell to scare people into being moral. (Dan Brown, eat your heart out!) In his fervor to blame such teachings on Plato and Augustine, he even goes so far at one point to assert that the Old Testament says nothing about God’s punishing the wicked (151). As I noted at the beginning of this review, I don’t think this is a dull book by any means, and it does my heart some good to know that there are fiery no-hellers in the world even still. I personally like my Universalism with a bit more Patristic flavor (like David B. Hart’s reading of Gregory of Nyssa), but since Mr. Kurts (you knew that pun had to be coming) and I seem to enjoy irritating the same sorts of folks, I did find a kindred spirit in this collection of notes.